There should be a little envy in Edmonton these days with the early-season success of the Buffalo Sabres. 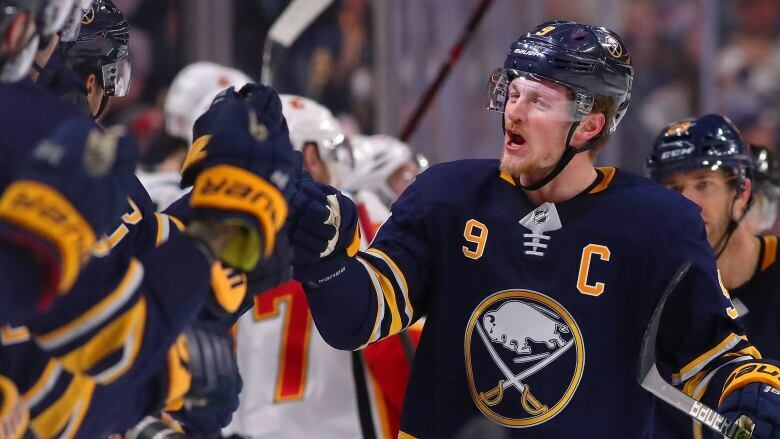 Yes, the Sabres have followed up their club-tying 10-game win streak with a four-game slide, including a 4-3 overtime loss at home to the Toronto Maple Leafs on Tuesday. But Buffalo was bound for a letdown. They just finished an exhausting stretch of four games in six nights against Stanley Cup contenders like the Tampa Bay Lightning, Nashville Predators and Maple Leafs as well as the Florida Panthers, a team that has gone an impressive 9-5-2 in their last 16 outings. Yes, the Sabres still surrender too many shots, seventh highest in the league at just over 32 a game. Yes, they have mediocre special teams. Yes, they have relied too much on third-period comebacks. Yes, seven of their 17 victories have been in OT or the shootout. Yes, there still are miles to go before they lock down a playoff spot after seven long years without a postseason appearance. But Buffalo is a lively hockey market again after finishing last overall a season ago, 26th in 2016-17, 23rd in 2015-16, last in 2014-15 and 23rd again in 2014. Sound familiar, Oilers fans? 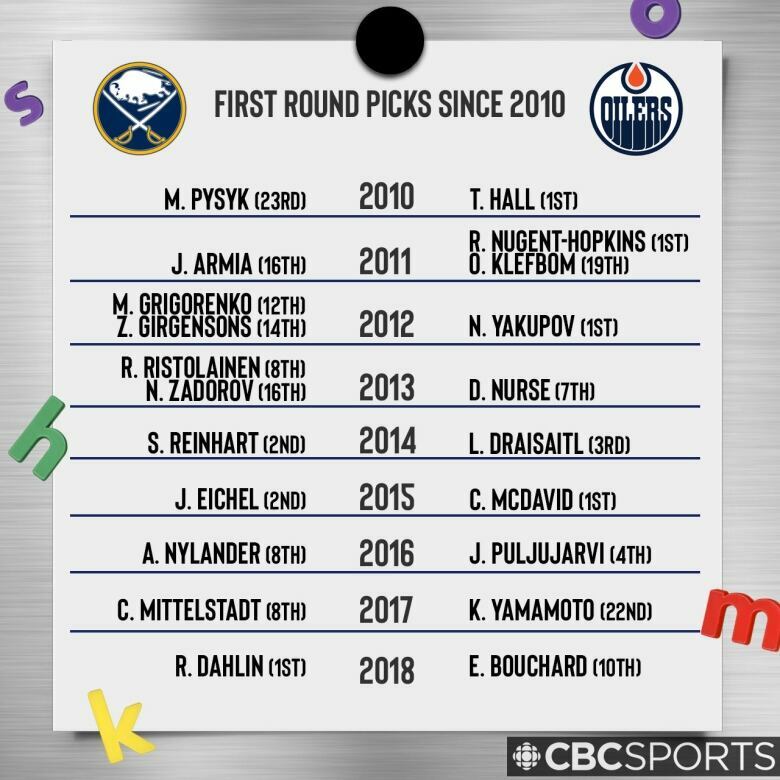 With the exception of a trip to the second round in the 2017 playoffs, there hasn't been much to cheer about in Edmonton despite a number of high draft picks, just like the Sabres. Like the Oilers, the Sabres often have changed coaches in the last nine seasons. They went from Lindy Ruff to Ron Rolston to Ted Nolan to Dan Bylsma to the current bench boss, Phil Housley. Edmonton has gone from Tom Renney to Ralph Krueger to Dallas Eakins to co-coaches in Craig MacTavish and Todd Nelson to Todd McLellan to their current head coach, Ken Hitchcock, in the same timeline. It's possible the Sabres waste their start and miss the playoffs. 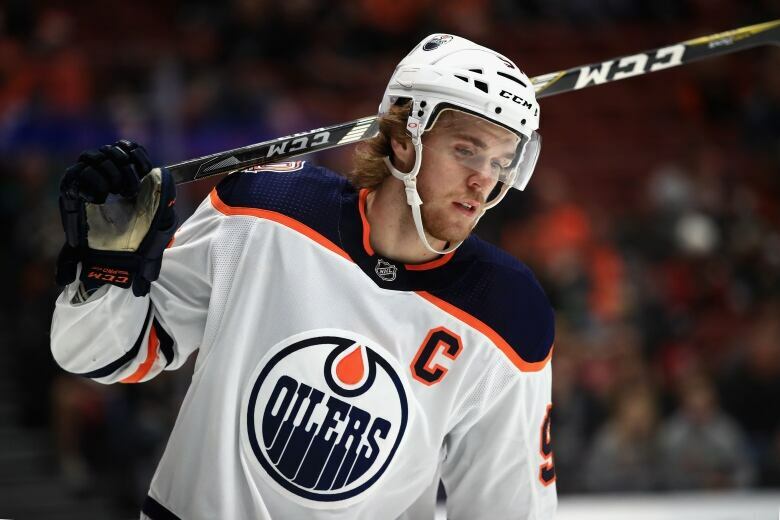 They may carry on, qualify for the postseason, but then fall flat on their face next year as the Oilers did after their playoff appearance in 2017. But Buffalo already has 17 wins, a total it took the Sabres until Feb. 13 to attain last season. They have decent goaltending with Thunder Bay's Carter Hutton, who at 32 has become a starter for the first time in his NHL career. Reinhart has matured into a front-line player. The additions of Jeff Skinner, Dahlin, left wing Conor Sheary and centre Casey Mittlestadt have increased Buffalo's speed and work ethic. People in the hockey community are happy to see the Sabres early-season success. This is an organization that has been snake bitten. In the spring it will be 20 years since Brett Hull's controversial Cup-clinching goal in triple overtime for the Dallas Stars to defeat the Sabres. It wasn't clear whether or not his left skate was in the crease. The league's director of officiating at the time, Bryan Lewis, was left to take the heat while NHL commissioner Gary Bettman and other league execs fled for their limousines and got out of dodge. There also was 2005-06 when the Sabres cruised through the first two rounds of the playoffs, dispatching the Philadelphia Flyers in the first round and the Ottawa Senators in the next. They had a good shot at upending the Carolina Hurricanes in the conference final but injuries piled up. They lost their top-four defenders — Teppo Numminen, Dmitri Kalinin, Jay McKee and Henrik Tallinder — yet stretched the eventual-champion Hurricanes to seven games. This brings us back to the Oilers. If the Sabres were healthy in the spring of 2006 there just may have been a Sabres-Oilers final. But since then both franchises have fallen on hard times. Now, it appears the Sabres have jumped ahead. We'll see how the rest of the season plays out. But with Buffalo's beginning, there has to be a little jealousy in Edmonton.